Enjoy celebrity look with our new collection of stylish party jewelry Set. Truquoise rings coral beads with bali silver accented in beautiful chain gift creative handmade necklace. 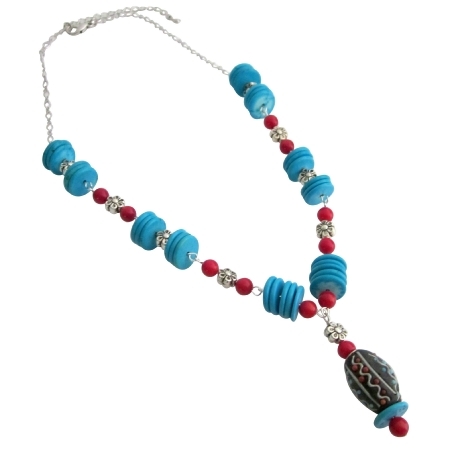 The main beauty is the lot of craft work dangling handmade bead designed matches coral & turquoise.